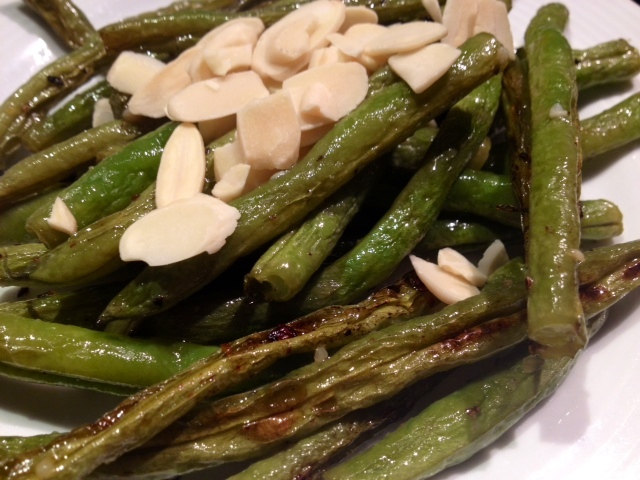 These green beans are insanely good. 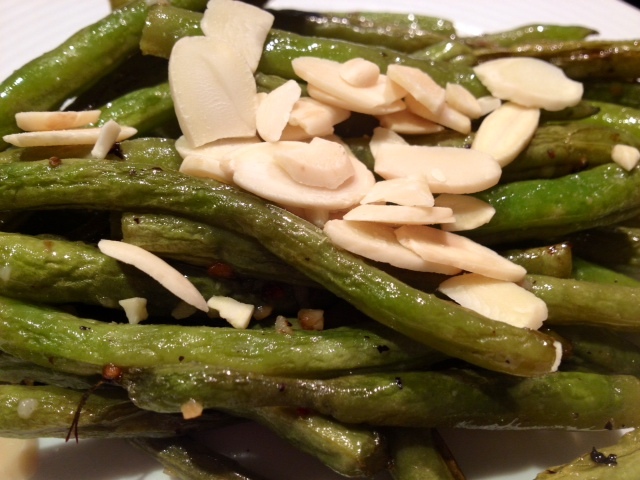 Made with simple flavors and fresh ingredients, they are bursting with flavor and are super healthy. You can make a big batch of them and keep the leftovers in your fridge to eat all week long. I’ve been eating these for dinner all week… delicious! 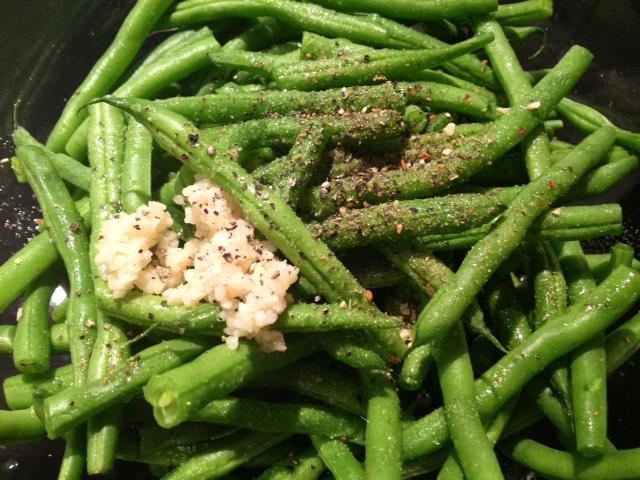 In a large mixing bowl, combine the green beans with the olive oil, garlic, lemon juice, garlic salt, black pepper and 21 Seasoning Salute. 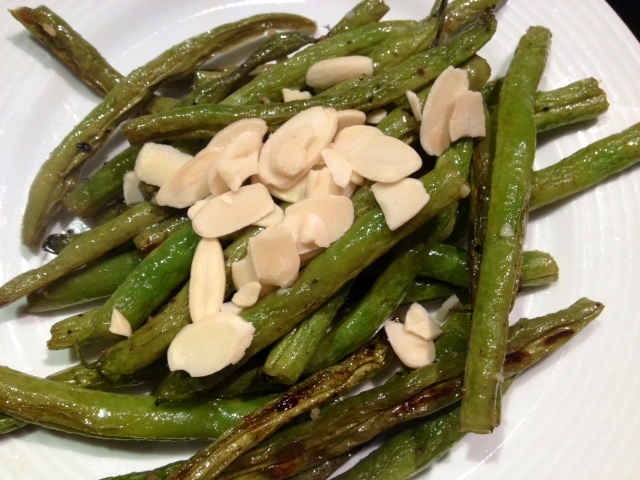 Toss to combine all the ingredients and then put the green beans on a large non-stick baking sheet. Bake in the oven at 375 degrees for about 30-40 minutes total, or until the green beans appear wilted and lightly browned. 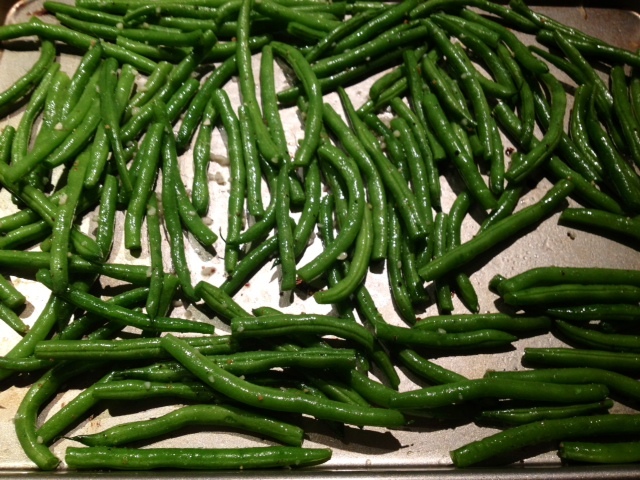 After 20 minutes in the oven, take the green beans out to move them around to ensure they’re being evenly cooked and then put them back in. 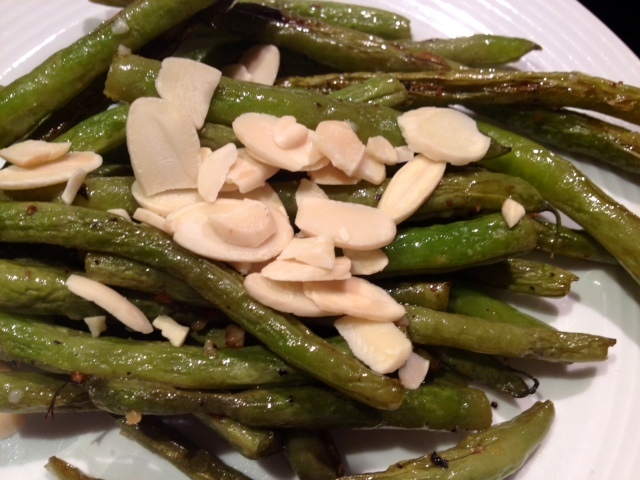 To serve, plate the green beans and top with a small pinch of sliced almonds.